Six New Hampshire companies have received grants that will help them train 130 employees in new skills. 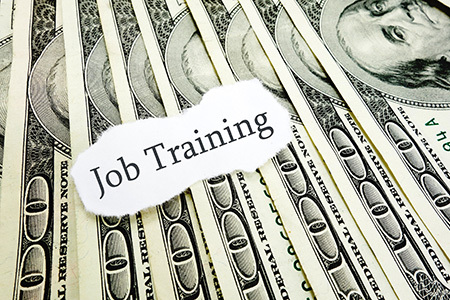 The job training grants total $77,105. The companies matched the training funds, bringing the total amount for training to $154,210. • Associated Grocers of New England Inc. of Pembroke, which received a grant of up to $12,495 for nine employees to receive training in leadership development at the University of New Hampshire, front-line management at New Hampshire Technical Institute, and CDL at Lakes Region Community College. • Delta Dental Plan of NH, Concord, was awarded $9,750 Concord for four employees to receive training from the UNH Leadership Development Program. • Globe Manufacturing Company LLC of Pittsfield received a grant of $7,500 to train three employees at the UNH Leadership Development Program. • Titeflex Aerospace (Smith Tubular Systems Inc.) of Laconia was granted $21,200 for 60 employees to receive training in lean manufacturing from the New Hampshire Manufacturing Extension Partnership. • GL&V USA Inc. of Nashua received a grant of $14,310 for training 20 workers in lean manufacturing at Nashua Community College. • Whitney Brothers Company of Keene received $11,850 for 34 employees to receive lean manufacturing training at NHMEP.